Stiga is one of the very popular choices for table tennis tables for players all over the world. Today, you can find a variety of different Stiga outdoor table tennis table models that catered for different people. Each table is having their unique and distinctive attributes. Apart from that, each table also having their own features and fitting for different price ranges. Knowing that buying a ping pong table is not cheap, it is best for you to do your homework before make up your mind to buy any of the table. Now, I would share with you one of the Stiga tables which is known as Stiga Baja Outdoor Table Tennis Table. 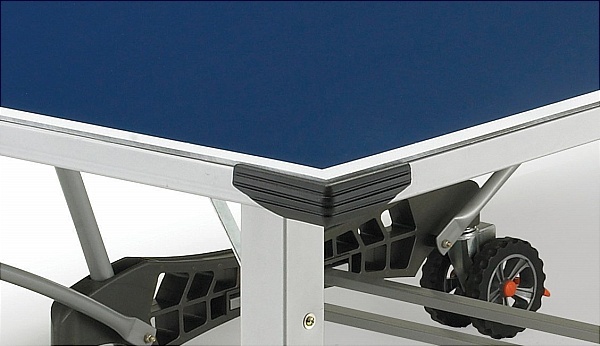 This table surface is constructed with weather resistant aluminum which enables it to withstand to all weather conditions. With this sturdy implementation, it allows for consistent play and persistent bounce regardless of where you have the table set up. 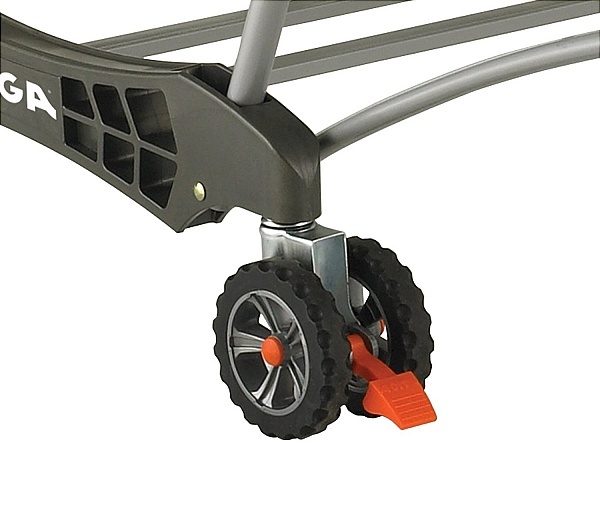 The 5″ all-terrain double-wheel casters provide easy mobility of the table from playing location to storage without much effort. The Stiga Baja Outdoor Table Tennis Table features with an exceptional spot and it is particularly depends on the player to figure out which location they want to place the table outdoor and they can fit it in for a short while and play in no time. Even though many players will found this table is not provide them with quality bounce like other outdoor ping pong table does, however, one thing that you can be sure is that there will definitely be players who do enjoy to play the game with this table. The design of this monster is not really of top quality but it is constructed to be good enough to hold up against any of the factors. As you will noticed that the table is built with the bottom is made of top board with thickness of 10mm and sheet metal, thus you can easily discover why the table can withstand all the test of sturdiness from the abuse of players, and also endure itself against sun, wind, rain, and other weather conditions. However, there is one significant drawback complaint by some people in which the table doesn’t provides even bounce for the shot. And it’s observable throughout the whole table where player can notice the difference especially when the shot hit at the back edge of the table. The other thing that some people may shun away from buying this table is with the reason the asking price for the table is quite expensive. Hopefully in near future, those suppliers will cut the price for this Stiga Baja Outdoor Table Tennis Table and many people may be then considering of buying it. 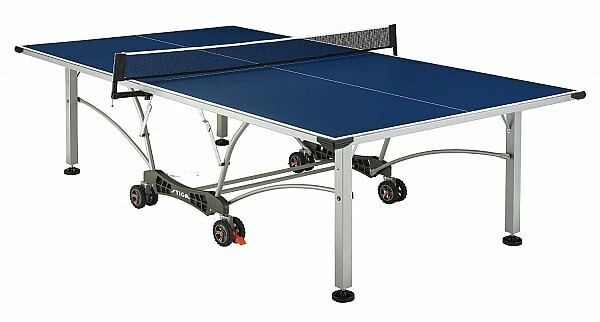 There are more choices of different STIGA table tennis tables that you can choose from. I bought the table last year and I would think that this is a moderate ping pong table which is suitable for beginner players. I wouldn’t recommend those advanced players to buy this table as it is not built of high quality one.